Could Paulette Jordan Be America's First Native American Governor? Do Texans in New York Care About Beto O'Rourke? 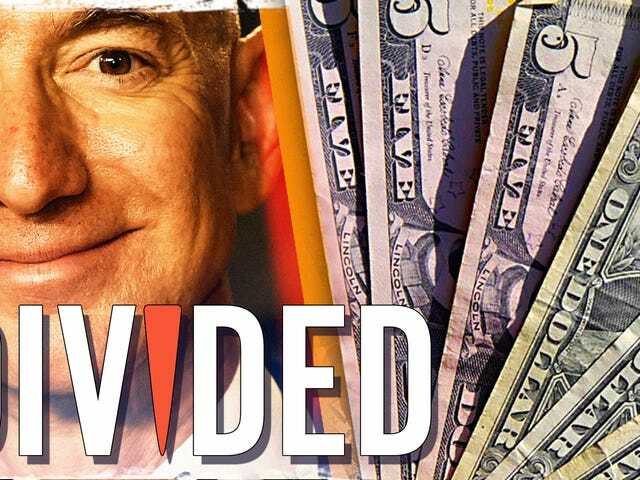 Jeff Bezos recently caved to pressure and raised the minimum wage for Amazon employees to $15 an hour. For this episode of Divided, we took to the streets of New York to talk to people about the decision, and about whether the minimum wage is even enough. If there’s one thing Donald Trump can’t get enough of, it’s defending powerful men accused of sexual misconduct. How Do Ordinary People Feel About the Kavanaugh Hearings? In the first episode of our new series, Divided, we ask New Yorkers how they feel about Brett Kavanaugh and the state of his ongoing confirmation hearings. Check back for more each week as we discuss this and other topics. Donald Trump has “very, very” many feelings when it comes to Supreme Court nominee Brett Kavanaugh, particularly about how “unfairly” he thinks Kavanaugh is being treated because of the sexual assault allegations leveled at him last week. Watch this very fine video. Since the invention of film, viewers have been eager to see titillating images on screen, but the adult film industry has long been dominated by the desires of white men. President Donald Trump today revealed that he’s considering thousands of potential pardons, including one for Muhammad Ali’s overturned conviction for draft evasion. His statements were greeted by the sports world, black America and even Ali’s former lawyer with a collective yawn. Bill Cosby was found guilty Thursday of all three charges in the sole criminal trial brought against him concerning former athlete Andrea Constand. The jury’s decision came after dozens of allegations of sexual misconduct and years of public debate over Cosby’s conduct. Them cryptocurrencies stay hot; what of it? The Super Bowl may have been noticeably devoid of on-field protests, but the multiple “head injuries” within the game itself were a not-so-subtle reminder of the controversies that led to the low ratings of the 2017 NFL season. Watch: Wait—Is the Women’s March for Women of Color, Too? Women showed up and made their voices heard again at Women’s Marches across the country over the weekend. But The Root wanted to know whether the movement was truly inclusive. Did President Barack Obama let us down?